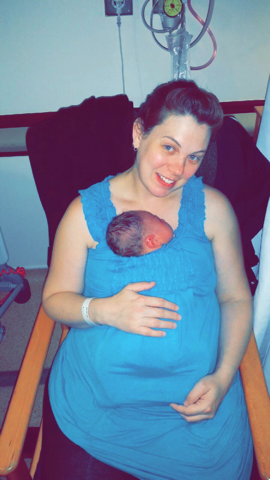 At 40 + 4 weeks I was booked for induction, and went in to be induced at 41 + 3 weeks. After three doses of gel (and endless walking around the hospital) I finally went into labour at 41 + 4 weeks. I read that labour pains are like period pains - no they're not - I'm guessing a man wrote the description for what labour feels like! I was transferred to the labour ward, and the midwife suggested an epidural (which was the last thing I'd wanted when I'd written my birth plan), she gave me an information leaflet which I thrust at my husband when she left the room to go and get something, and told him that I wanted the epidural. My mum and dad had been at the hospital visiting me, just as my labour had started, and been sent home by the staff as they said that nothing was going to happen that night - two hours after they got home and my husband called my mum to ask her to come back as she was my second birth partner. 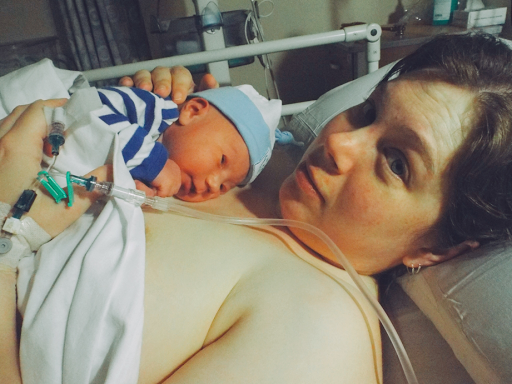 I was so glad I'd had the epidural - the midwife broke my waters and my labour progressed fairly quickly and by the time my mum arrived I was already 8cm dilated. Baby's heart rate became ridiculously high, blood was taken from his head to test oxygen levels which all came back normal. 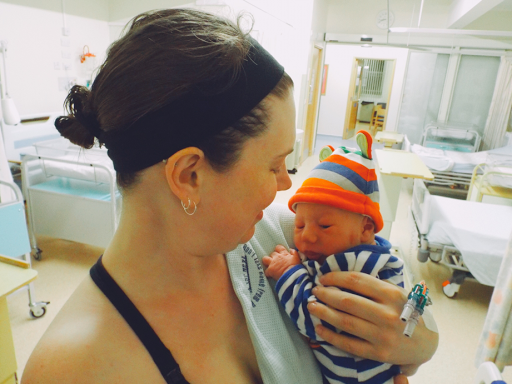 Once I reached 10cm my contractions stopped, and I had to be put on a drip for my contractions to start again - after an hour of pushing, and no baby appearing and babys heart rate still being high I was taken to theatre and prepped for a c-section. Baby was born via a forcep delivery at 3.03am on Friday 13th September 2013 weighing 8lb 7oz - as I laid there waiting for my placenta to be delivered the surgeon held the umbilical cord up above the screen and commented that our Friday the 13th baby was a very lucky boy - his cord had a true tight knot in it - this happens around 1 in every 2,000 deliveries. 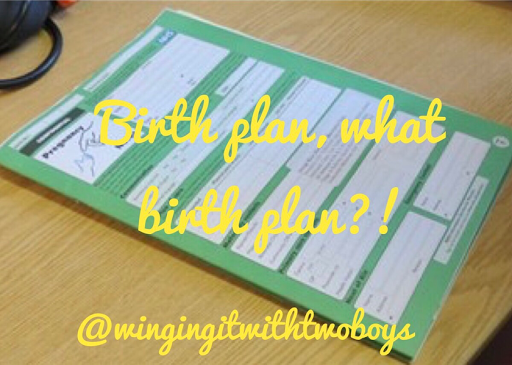 When I fell pregnant with our youngest, I decided that I wouldn't write a birth plan and I would just go with the flow. I had to have extra scans with our youngest as I was carrying excess amniotic fluid. 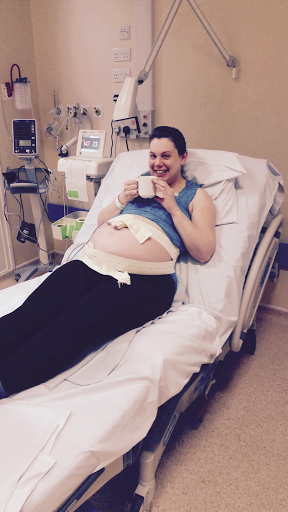 I remember asking the consultant what the likelihood was of being induced with my second baby as I'd been induced with my first - and she said I was more than likely going to need to be induced. 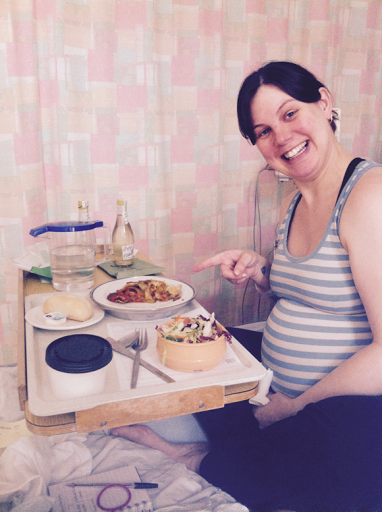 At 41 weeks I was booked in for my induction and at 42 weeks I went in to be induced. 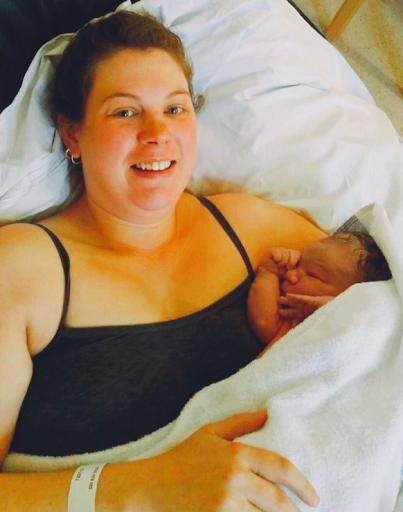 I was already 2-3cm dilated and the midwife broke my waters at 9.30am, and our youngest was born at 11.40am on Monday 13th October 2014 weighing 9lb 11oz. I'd had gas and air (ordered my lunch whilst having contractions), been able to labour in the birthing pool, and at the time I needed to push I was taken out of the pool and transferred to the active birth room and I slumped over a bean bag and gave birth on my knees - I was so happy as I got to have more of the delivery I'd wanted with my eldest. Sometimes it doesn't go to plan - I've had two completely different deliveries - and end up with two gorgeous little boys at the end of it. It never goes to plan does it! Congratulations on your birth journey.